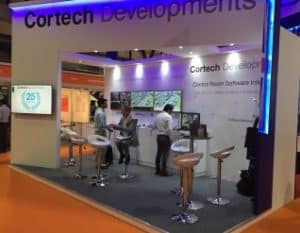 Intersec once again provided a forum for Cortech Developments to provide educational value around the mitigation of risk and smarter interoperability for building, fire and security management. Integrators, consultants, manufacturers and end users were able to experience first-hand the benefits of adopting the latest smart integration techniques and the ease of which multiple technologies can be remotely monitored and controlled across multiple buildings, sites and even countries. Alternatively we are able to undertake demonstrations via our own video conference system.